What is the best dog harness for running? Do dog harnesses help with pulling? How does a dog harness work in the car? Should I leave a harness on my dog all the time? Why does my dog hate his harness? 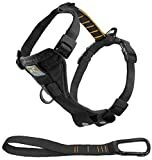 How to introduce a dog to a new harness? Pick one of the best dog harnesses to ensure the safety of your dog outdoors, especially while on a walk or jogs. As opposed to just a collar and a strap, a dog harness covers the entire torso region of your pet in a protective way. Some dog vest harnesses consist of straps and loops so that they can be fastened together with the snap-fit buckles. A dog harness is a must-have pet supply, regardless of the size and breed of your dog. With a large dog, a harness ensures that you have more control with them, and with a small dog, it prevents any chance of injury that a leash can cause, especially when your pooch is being pulled. Dog harnesses are also useful for hyper active dogs. A leash can be torn in the wake of such excitement, causing harm to the dog. But with a harness, there is hardly any chance of that happening. Quality harnesses for dogs protect a pet’s trachea and back by spreading the pressure instead of concentrating it on the weaker parts of the dog’s body. When a dog harness is worn, training also becomes easier. A no-pull dog harness is basically a front-clip harness that is designed to stop pulling immediately. No-pull harnesses change the point of leverage. As your dog pulls, the harness just turns your furry friend to the side. The harness comes with a close-fitting comfortable collar along with an attachment on the back. No-pull harnesses are found to be more comfortable for dogs, especially for the well-behaved ones. Big dog harnesses are engineered for larger-sized dogs. If your furry one belongs to one of the larger breeds, keeping them under control outdoors can be quite challenging with just a leash or a collar. A big or large dog harness covers the torso of your dog’s body and has a number of buckles and belts to ensure your dog’s safety and comfort. Small dog harnesses are soft and lightweight with an equally softer mesh. The material should be durable as well as easy to clean. The webbing must distribute the tension evenly across the chest of your dog. Measurement of the harness and its suitability to your dog should be checked twice before buying one. Dog harnesses for small dogs are as just as important as small dogs have a higher tendency to be injured from pulling and they’re generally more active outdoors. The small dog harnesses, apart from being cute, are well-fitted and comfortable for your little one. A service dog harness is a great way of communicating to the public that the dog is on duty, and received professional training. 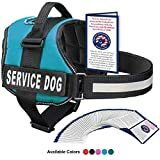 With the service dog harness on, your dog will be able to get on public transport and places of business interest (shops, banks, restaurants, etc). Service dogs and therapy dogs help the disabled with tasks by overcoming the everyday obstacles for them. However, this also means that the dogs must also accompany the handler closely and remain by their side throughout. The best harnesses for dogs that hike a lot come with a foam-padded chest and adjustable belly straps, especially on the bottom side. A reflective trim is required so that you can easily spot your dog in the dark. The chest straps are tight but don’t put too much pressure on your dog’s lower body. A harness is a must when you take your dog out hiking and such a harness should be extra robust depending on the hiking conditions. A dog harness meant for hiking should be extra comfortable for the dog. Similarly to the dog harnesses for hiking, dog harnesses for running are designed with comfort in mind. They are usually made of a protective mesh that is very soft on the tender skin of your furry one. An adjustable strap and a reflective trim are required for running harnesses. Your dog will get tired from running and wearing the harness shouldn’t completely drain your dog of energy. Once your dog is wearing the running harness, you can let them jog by your side instead of them running far out of sight. Dog harnesses for cars are important because you need to keep your dog restrained when they travel in a car. Small dogs can get excited which makes it difficult for you to hold them on your lap and for large dogs it’s almost impossible to keep them still. A harness is the safest option to go for when travelling – it means they won’t fall about and hurt themselves. Being lightweight is one of the main benefits of a dog car harness. Size should be chosen depending on the size and breed of your dog. Harnesses are among the few dog accessories that are found in as wide a variety as the breeds of dogs themselves. They can be differentiated based on their size, fit, the presence of loops and belts, and so on. When something is available in such great varieties, choosing the best one for your pooch becomes even more difficult. Size of the harness is of paramount importance. The fit should be snug and allow your dog to be comfortable. 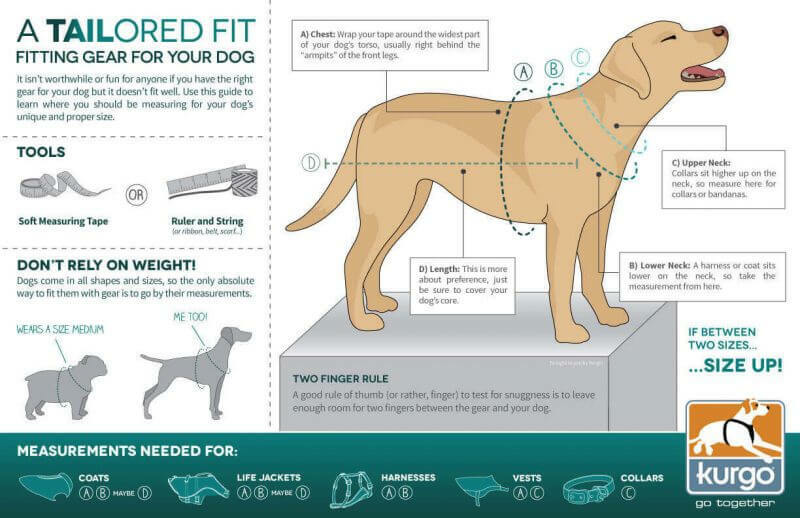 You should measure your dog and determine the right size and thickness based on their age and breed. You should check the fit at periodic intervals, especially for young dogs that can grow up rather fast. Tightness and space for movement must have a balance between each other. Even with the harness on, your dog should be well able to run, crawl, roll over, lie down, sit and well, just be able to move freely. Fitting a dog harness is vital for your dog to get used to wearing their harness comfortably. Here is an infographic from pet supplies manufacturer Kurgo. The features of the harness will also be dependent on the breed, body type, and even the temperament of your dog. 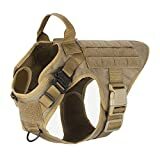 For instance, a front-clip harness is good for keeping aggressive dogs under control while the back-clip ones are more comfortable for calmer dogs. Similarly, a harness with padding is the preferred option for breeds with short hair because it avoids rubbing and skin irritation. Reflective straps, both on the chest or the back, are not just fashion first for your dog, but they also add to the safety of the harness as a whole. If you’re into outdoor walks with your dog, especially in the dark, you might have noticed your dog’s habit of running through your legs and dashing out into the streets. Even in the emptiest streets, you never know when a car approaches fast without noticing your pooch. A reflective strap lets you keep a better watch on your dog throughout—and helps avoid any tragic situations. A harness often comes with a handle, commonly known as a lift harness. The only difference to a normal harness here is that with the long handle, you can gently pull on it to take some weight off your dog’s hips, spine, and legs. Harnesses with handles are really only for small dogs as larger dogs are much heavier and therefore too difficult for you to pick them up. If the buckle comes in direct contact with the skin of your furry one, it might lead to rubbing and skin irritation, which is avoidable. So, even if you are going for a buckled harness, make sure that there is a fabric or padding under the buckles to protect your dog’s skin. Some of the dog harnesses have buckles with which you can choose to tighten parts of the harness on your dog’s body. They are good as long as they’re actually contributing to a better fit. Pockets are essential features of dog harnesses and you should ideally buy one with a couple of pockets. The small pockets are strategically placed on the harness so it looks and functions like a mini backpack. The pockets do not add to the weight of the harness in any possible way and so, there is no chance of discomfort to the dog. Harnesses with pockets are great for taking out your dog for running or hiking. You can keep important stuff like their ID card, documents, and a few treats in the pockets too. The durability of the dog harness comes from the material with which it is made. And your preference for durability should, in turn, depend on the size of your dog, and the purpose of the harness. There are cheap and thin types of dog harnesses available out there which are certainly not durable, but are well suited to really small dogs that will hardly ever pull. On the other hand, hiking and running dog harnesses are extremely durable because they are made out of heavy-duty and resilient materials and meshed fabrics. They will last a long time and are suitable in the harshest weather conditions. However durable the dog harness might appear to be, it must never make your dog uncomfortable wearing it. A harness with nylon or fabric has excellent ventilation properties that keep your dog cool and comfortable, especially when they’re wearing the harness for long a long time or in warm weather conditions. The mesh fabric must be breathable. 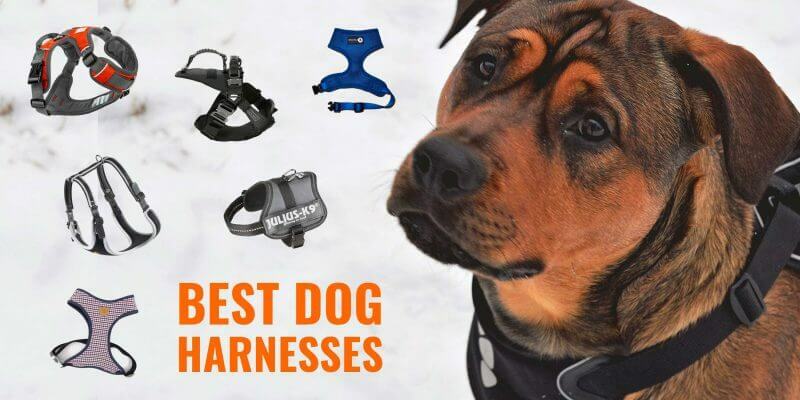 We’ve put together some detailed dog harness reviews so that you can evaluate the products and find out the best dog harnesses for your pooch. 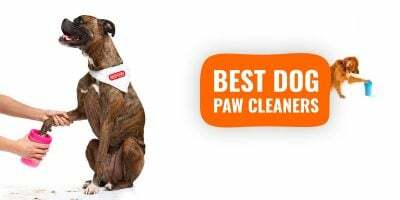 Here are our shortlisted top 10 best dog harnesses. This tactical dog harness from ICEFANG is one of the best dog harnesses out there. The harness comes with an alloy metal buckle that is 1000lb proof load tested. The heavy load point eliminates any chances of hurting your dog no matter how strongly they pull. It doesn’t rub on the skin of your dog and it’s escape proof—an added bonus. The fitting of this harness is bound to be good as it comes with 4 adjustable positions for your pooch—including adjustable shoulder and chest straps, of course. 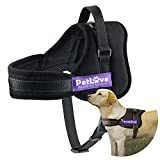 This harness for dogs is totally safe and with just a bit of training, you can actually make your dog walk beside you. There is also a back leash clip, which you can use once your dog has become used to wearing the harness. This one is also a harness with a handle so you can lift up your dog when you need to get them in or out of your car. Suitable for a variety of breeds and medium-sized dogs, this harness also has two 1″ strips of Molle on both sides for you to put stuff in. The attached hook and loop panels make it easy for you to carry your dog’s ID and other essentials—great for when you’re on a long hike or adventure trip together. The product has been widely loved and admired by dogs and their owners alike. This attractive looking dog harness from Rabbitgo not only trains your dog and keep them safe, but also makes your pooch look even cuter. This harness is designed for medium and large breeds of dogs and is available in various sizes. The most striking aspect of this harness is that it is very easy to get on and off. So if making your pooch wear the harness has always been a trouble, switch to this one and it will become a breeze. This no-pull harness effectively distributes the pulling pressure across the entire body of your dog and reduces the chances of a huge pressure exertion due to a strong pull—and it’s choke-free. You can use it as a front leash or back leash as there are two sturdy metal leash attachment points. The slide straps are adjustable so you can customize the fit of the harness, depending on the size and shape of your dog. Taking safety to another level, this harness comes with reflective straps so that you can spot your dog well in dark conditions. 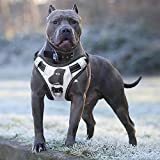 Customers think that this harness makes the dogs quite comfortable thanks to the soft breathable material coupled with heavy padding of the harness. The only slight concern about this harness, for some customers, is that the harness has a tendency to get a bit loose with consistent usage. But overall, the product is more satisfactory. 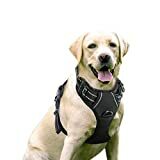 As the name suggests, this harness is perfectly suited for large dogs, though it fits medium sized dogs such as Golden Retrievers, German Shepherds, and Labradors well too. It’s designed to be a no-pull harness and ensures that the pulling pressure is evenly distributed. With this harness on, there’s no chance of choking or any kind of discomfort for your dog whatsoever. Although meant to be worn by larger dogs, this harness is hassle-free to be put on and taken off—the design is simple and straightforward. There are quick snap buckles that make wearing it hassle-free. On both the buckles, there is a special locking feature that fits better and gives greater security for your dog, especially during adventurous outdoor activities. This harness has a D-ring leash attachment point coupled with an easy grip handle to offer you with better control over your dog. The straps are, of course, reflective. Customers especially love this light weight dog chest harness owing to the premium nylon oxford material from which it is made. It is quite easy to clean too. With so many special features, this dog harness is top-notch quality and has hardly any complaints from dog owners. Another no-pull dog harness for large-sized dogs, this product from EXPAWLORER is among the best dog harnesses out there. The harness comes with reflective straps to give safety utmost priority. Whether you go hiking or just strolling in the evening and in case your dog goes astray in all their excitement, this harness will definitely bring your pooch back to you. The harness itself is quite sturdy and is made from heavy duty metal with a D-ring. It comes with a padded and extra handle, which gives you better control. Although pulling up a large sized dog with the harness handle is not something you should do regularly. 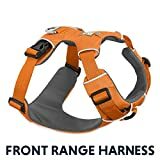 Owners of large breeds of dogs who have bought this harness are of the view that the product has proved to be a great training material for their dog. On the other hand, some customers have the opinion that this harness would only be suitable for dogs that have already been introduced and trained to wear harnesses which you should bear in mind. This is the best service dog harness, made from the best quality and strongest materials available out there. All the hooks and loops are of the highest grade and the harness doesn’t come loose, even with consistent, heavy usage. They hold the harness together and boast a perfect fit for your medium to large-sized dog. The interesting feature of this harness is the different patches—you can customize its design depending on the purpose of wearing. For instance, you can make the harness work effectively while taking out your dog for a run and then make it suitable for wearing on casual doctor visits or grocery shopping. Although sold separately, the vest has space to accommodate backpacks to carry the dog’s essential stuff, including treats and medicines. This harness is perfect for the on-the-go service dogs because it comes with an easy-to-use belly buckle that makes putting it on fast. Last but not least, there is a top-mounted handle that renders you with maximum control, especially in emergency situations. With this harness, you can evenly distribute the pulling pressure across your dog’s body, making walkies extremely comfortable for your dog. This no-pull dog harness is a regular wear one, suited for larger breeds of dogs. It comes with Weinerlock plastic quick release buckles and easily adjustable straps, both coming together to make it super easy to put the harness on and take it off, even when you’re on the go. It also has a front D-ring which can simultaneously be used as a leash attachment, there’s also a back leash ring. You can use this harness as a training item for your furry one too. The best part about this product is that it works well as a dog car harness as well – thanks to the 10-inch lead that can be used as a dog seat belt during car travel. It restrains your dog from jumping, hurting themselves, and also distracting your driving. Although the harness is meant for large dogs, it is available in various sizes, so can be used by small and medium-sized dogs as well. When you buy this harness, make sure the fit is good as the neck region of this harness is not adjustable. This harness comes with a lifetime warranty against manufacturer defects from the brand itself, which is an added bonus. Available in a wide variety of sizes, this dog harness proves to be really comfortable for the majority of breeds and sizes of dogs. The harness is made of sturdy and durable material, contributing to its long-lasting nature. The product also boasts large loading capacity which improves tensile strength to a significant extent. The material is scratch-resistant so it continues to look stylish even after considerable usage. The harness, besides being easy to put on and take off, comes with a lightweight mesh lining along with soft sponge padding around the chest and belly region. The straps are adjustable and the fit of the harness can be customized. The reflective straps enhance the safety quotient of the harness, keeping your dog visible at night. The only complaint that a few customers seem to have is that this harness could have had a few more straps as if the dog is hyperactive and not well-trained, they could slip out of it. Coming from a reputable brand in the pet industry, this harness is available in a wide range of sizes. It suits both medium and large sized dogs. There are four adjustment points in this harness, enabling a perfect fit for your dog, according to their unique body shape. The straps are colored differently to make it easy for to understand which one goes on top and which one is meant for the bottom. The front leash attachment is the special feature of this harness. Unlike the conventional ones, it actually helps you steer your dog to your side and keeps pulling to a minimum. As the straps rest along the chest and belly of your dog, there is no chance of choking them even when your dog tries to pull vigorously. The comfort level of this harness is very high, which is one dominant factor that dog owners seemed to like about this product. The Halti Harness is the best possible no-pull dog harness that you can find out there. 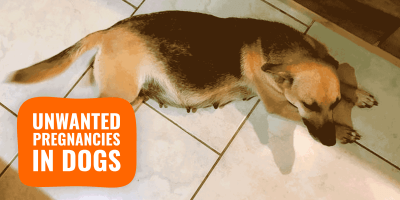 It is a patented product that was designed with the pulling tendencies of dogs in mind. It’s an extremely safe dog harness appearing with a front control system, steering the dog from its chest and shoulders only. Don’t be fooled by its appearance… The Halti harness is also stronger than most other dog harnesses in the market. It is made out of a high-quality nylon webbing that balances strength and durability perfectly. The fit is lightweight and comfortable for your dog. There is further neoprene padding on the shoulders that make the harness a much better alternative to traditional head collars. As an anti-pull harness, it’s particularly recommended for dogs with neck injuries. There is a safety clip that you can attach to the dog’s collar for additional security. Customers of this product have been hugely satisfied because their otherwise active dog can be controlled and kept safe with this harness on. 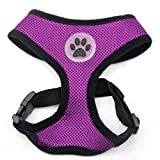 This one is a purple-colored, cute-looking harness designed with puppies and small dogs in mind. Compact in shape and size, it’s made out of 100% polyester and has an extremely soft air-mesh. 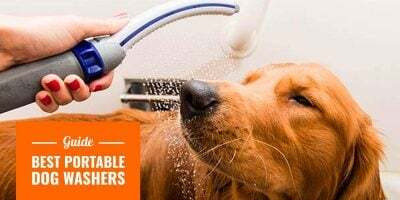 It is totally suited for the delicate skin of your pooch and causes no skin irritation whatsoever. The adjustable chest belt and the quick release buckle make it easy wearing and give a customized fit. With this harness on, your dog’s natural movements are completely free, no matter what they do. At the same time, dog owners can have control over their pet while letting him walk side by side. A few customers have noticed that the harness might turn out to be a little too small and you might need to order a bigger size. Also, it is good to remember that the upper strap (neck area) is not adjustable, which can be a problem for some. Many dog owners have certain doubts and apprehensions about buying and using dog harnesses for their furry one. Some think harnesses may be uncomfortable while others believe a leash and collar are perhaps enough for smaller dogs. However, dog harnesses are said to be the better option for numerous reasons ranging from posture to behavioral assistance. 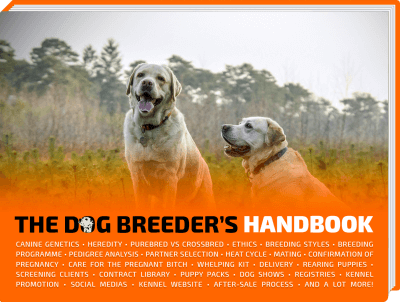 Here are some common questions about dog harnesses answered for you. Harnesses reduce the pressure on the neck of your dog and help distribute the weight accordingly. Dog harnesses are believed to be better than collars in many ways. They are more suitable for smaller breeds and cause less restriction for breeds like Pugs who are more prone to respiratory problems. Harnesses also work better than collars in terms of functioning as great training tools for puppies. They give you better control, discourage pulling, and also prevent your dog from jumping on strangers. Unlike leashes that have the chances of tangling up, dog harnesses turn out to be quite safe. Dog harnesses can be front-attaching or back-attaching. The former is more effective for larger dogs because they lead from the front. The back-attaching ones are more sensitive to pressure but are not painful at all. The Ruffwear Front Range All-Day Adventure Harness is the best dog harness for running. It’s a dog running harness made for extended wear. With the harness on your dog, you can run with your dog all day long and partake in adventurous activities. You can put it on and take it off your dog with ease. This dog running harness has a dual-leash attachment hook and reinforced webbing at the chest. These provide additional control and resist extra pressure from pulling. As an ideal training dog harness, it also features an aluminium V-ring on the back. Since a dog running harness is supposed to be worn for long hours, comfort is necessary. As such, the harness comes with foam-padded strips across the chest and the belly region of your dog. They allow equal load distribution while walking, running, and even when resting. There are precisely four convenient points of adjustments for full range of motion. There is also an ID pocket for the keeping your dog’s tags. The reflective trim adds value to the harness, letting your dog stay visible all day long. Yes, some no-pull dog harnesses help with preventing dogs from pulling. In this regard, the HALTI Harness needs a special mention. It was originally designed by Dr. Roger Mugford to prevent dogs from pulling by offering front control. The HALTI head collar works in the same principle but the harness steers the dog from their chest instead of the head. In doing so, it gives the owner better control of their dog. The HALTI Harness comes with a patented front-control system that pulls the dog from the chest and shoulders. This helps you set the direction in which you want your dog to move. The most reassuring thing about this harness is that it is always comfortable and never puts a painful pressure on your dog. The double-ended lead offers a great degree of control. The front ring steers while the back ring above the shoulders functions as the much-needed brake. A dog car harness is one that can be secured using the car’s safety belt system. To help you do so, the harness will often come with a lanyard which you can attach with the car’s safety belt attachment point. At other times, it will have an opening for the safety belt to pass through and keep your dog safely in position. Once you’ve put the harness on by passing your dog’s head through the neck straps, check to make sure that the back pad of the harness lines up with your dog’s back and that the chest pad is centred. Finally, pull the dog’s front legs through the loops and your pooch is ready to ride! You can leave a harness on your dog but it’s not advisable. The harness might be comfortable for your pet but it’s better to let them sleep at night without the harness on. The dog harness is needed when you take out your dog for walks, runs, or for exercising. 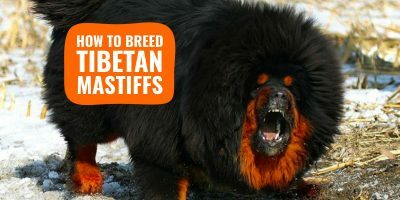 It can also be used while training your dog. If you let your dog sleep with the harness, they might just end up chewing over it or being uncomfortable. This is especially true for puppies and smaller dogs. Although harnesses are totally comfortable these days, your dog might psychologically feel that they are bound by it and that their movements will become restricted. Initially, your dog might seem to hate the harness but that’s because they’re not used to it yet. That’s why you shouldn’t forcefully make your dog wear the harness, you should put it on them with care and affection. Patience is what will play the crucial role in this transition phase of your dog until you get your dog to tolerate the hardness on walks. If your dog still hates the harness, check to make sure that it is not making them uncomfortable. For instance, the buckle of the harness should not come in direct contact with your dog’s skin as it could cause skin irritations. Dogs should be introduced to a new harness gradually. Especially if they’ve never worn one before. It is pretty common for dogs to show an initial aversion towards wearing harnesses. So instead of suddenly making him wear one while going out, let your pooch wear one casually at home. Rewarding your dog for wearing the harness is a great way to introduce the new garment. If your dog instantly puts on the harness without barking or showing any negative signs, shower them with extra treats and cuddles. Your furry one will eventually understand that the harness is a good thing. Once your fluffy friend is used to wearing it indoors, start wearing it outdoors too, especially on small walks and exercising sessions. During this initial phase, long lines and waist leashes are good options before you use comprehensive harnesses.